As some of you might know, I live in Okinawa. You don’t have to live here for very long before realizing what a big issue the American occupation of Okinawan land is. While there are arguments for both sides, that is 1) the continued occupation and 2) the return of land to the people of Okinawa, I tend to side with the latter. I’m not an expert, by any means, in this area. Although, I try to read what I can about the issues. From what I have read, many of the arguments for the continued occupation and the building of a new base in Henoko seem ill-informed at best. Anyway, there are some very informative articles from the Ryukyu Shimpo on their website. They are in PDF form so they take a little time to download but they contain various articles about the issues related to American bases in Okinawa. 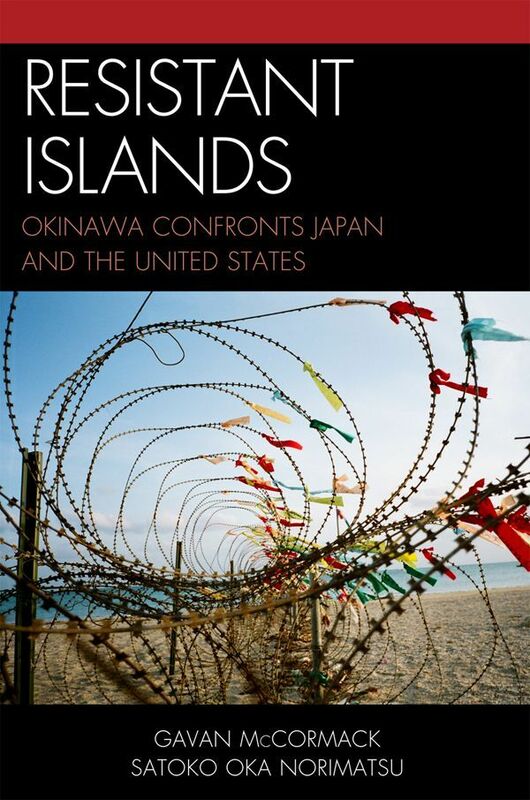 If you are looking for something a bit more in depth I recommend reading Resistant Islands: Okinawa Confronts Japan and the United States by Gavan McCormack and Satoko Oka Norimatsu.